Give your website visitors the listings they're looking for and convert them into leads. From Teaser Registration™ to Saved Searches and HouseTrack™ email notifications, IDX Search is the heart of your website and the engine that brings you new leads and business. Choose from hundreds of professionally designed themes. 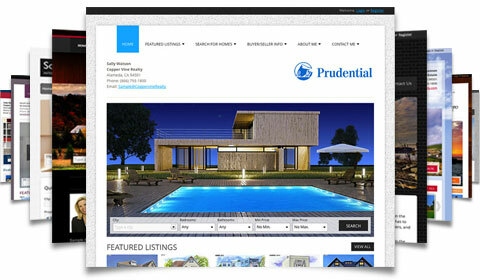 Our real estate website designs are infinitely customizable and easy to edit, and you can switch at any time. We'll help you get it looking just right. 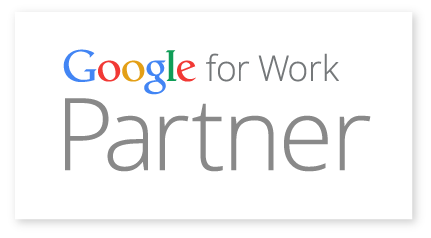 Stay in contact with your clients and prospects with our customized CRM suite. Easily create custom forms, spy on your leads, manage your leads, send out pre-built listing flyers or setup an entire email drip campaign. Continue the conversation with your contacts automatically and generate repeat business without picking up a phone! 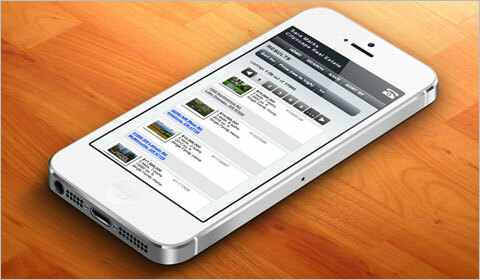 Let your clients search for homes on their mobile phones and tablets. No app required, your website automatically detects mobile devices and shows a specially designed mobile version of your MLS search. Galleries, slideshows, carousels, and more – there are tons of different ways to display your featured listings so they shine. Search for and display special listing types like foreclosures, rentals, and commercial properties. If your MLS includes data for these then so does your real estate website. Stop spending hours doing double data entry! Add new listings or edit them just once in the MLS. Your iHOUSE Elite Website will automatically detect the changes and display the new listing information. Get maximum exposure for your listings for a minimum amount of effort. Your Elite REALTORS® Website automatically syndicates (copies) your listings to Yahoo! Real Estate, Trulia, Oodle, Zillow, Vast, Hotpads, and Craigslist. Contact us and you'll find our support staff is exceptional. We offer unlimited customer service by phone, live chat, and email. Training webinars are available several days every week. For help articles, FAQ's, video tutorials, and more visit our Help Center. The classic Market Evaluation and Dream Home Finder forms remain simple and effective lead capture tools. Use one of our preset forms or create your own to capture the information you want. When your website visitors fill out the form you'll receive an email with their information. 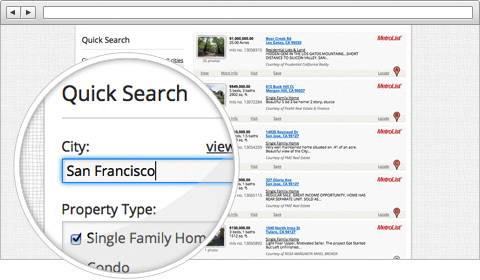 Every time a client saves a search on your iHOUSE Elite Website they can choose to receive HouseTrack emails. Your website will automatically send them regular email alerts showing new listings that match their search conditions. Following up with a homebuyer lead is so much easier when you already know what they are looking for. The LeadTracker™ client management system lets you see what pages they're visiting, what searches they are making, and what listings they keep coming back to. You know you want them. Connect your website to your Facebook, Twitter, Google Plus, and LinkedIn accounts with those snazzy little icons. If you write it they will come. Blogging is one of the best methods for establishing yourself as a credible source of information – with clients AND with the search engines. Having your blog integrated into your real estate website increases traffic, SEO ranking, and ultimately creates more leads. Rest assured that your website follows SEO best practices. Beyond that it has all the tools you need to do your own tuning and tweaking of titles and meta tags for every page. Hint: Good SEO today is less about black magic keywords and more about providing fresh, relevant content to real people. The same powerful IDX Search on your Elite Real Estate Website is now available on your Facebook page. Yet another way to capture leads and harness the power of social media. See how much traffic you're getting and where it is coming from. Simple, attractive, and built-in. Get a main broker website AND a fully functional REALTORS®website for every agent in your office. Each website is fully featured and customizable. Leads captured by an agent website go to that agent. 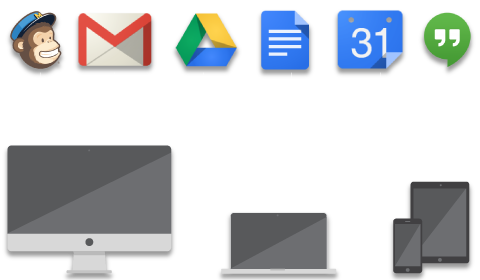 Or centralize all the leads and automatically distribute them round-robin style to your agents. Your office website gets a directory page of all of your agents. Each agent has their own bio page with their photo, contact information and their (automatically updated) listings.